Kindred Healthcare is the largest post-acute care service provider in the United States. The Louisville, Kentucky corporation operates 118 acute-care hospitals, rehabilitation centers, hospices and more than 220 nursing facilities in 28 states, including in Illinois. The company provides transitional care, rehabilitation, nursing, assisted living, at-home assistance, sub-acute care and skilled nursing. In the first quarter of 2015, Kindred acquired Gentiva Health Services and Centere Healthcare Corporation. Kindred operates six transitional care hospitals in Northeast Illinois including foir in the Chicago Metropolitan area, and additional facilities in Sycamore and Peoria. The two Illinois Gentiva hospices are located in Arlington Heights and Westchester. Kindred Home Health solutions are also available in Rock Island (Gentiva Home Health Rock Island), North Riverside (Girling Home Health North Riverside), Rockford (Kindred At-Home) and Chicago (Kindred At-Home in Lincolnwood and Pingree Grove). Kindred Healthcare Centers are Medicare certified to provide medical transitional environment to patients leaving a traditional hospital setting before entering a nursing facility or returning home. In an effort to fill the diverse health needs of residents and patients, Kindred Healthcare provides skilled nursing and rehabilitation at many of its centers in Illinois. Most of its short-term rehabilitation patients stay 32 days on average, utilizing the skilled professional care during recovery to minimize re-hospitalization. In addition, their care centers also provide palliative solutions and support for patients suffering Alzheimer’s and specialized dementia. With access to excellent restorative physical and occupational therapies, many residents are able to regain their previous quality-of-life. In addition, Kindred Healthcare offers extensive specialty programs to deal with chronic illnesses or meet specific health issues. These programs are based on individualized care performed by highly skilled medical teams using advanced expertise, tools and knowledge. While the centers, facilities, hospitals and homes owned and managed by Kindred Healthcare are known for their quality caregiving, the company is not without legal issues. The corporation has been accused of neglecting many of its residents by providing inferior patient care. In 2012, the corporation generated over $6.5 billion in total revenue, creating profits of more than $80 million. However, during the same time its medical malpractice costs totaled more than $70 million. Many surviving family members have filed suit against the corporation seeking justice and financial compensation to cover damages caused by neglect and mistreatment of a loved one residing in a Kindred facility. In many situations, families have been able to receive financial compensation through lawsuits claiming poor quality medical care, understaffing, deplorable living conditions, lack of training or intentional neglect. When the neglect is repeated or ongoing, it is essential for victims and family members to take legal action to stop the abuse immediately and hold those responsible accountable. The events in this dispute largely occurred at a Kindred facility in Sycamore, Illinois. The plaintiff was a male. He had various ailments. One of them required a tube to be placed down his throat for breathing. In these circumstances, that might leave a patient open to the risk of pneumonia and oxygen loss. To account for these dangers, nursing homes need to put in place policies to make sure this does not happen. Here, this is allegedly not what occurred. The man’s airway became obstructed and he developed pneumonia. He suffered respiratory distress, and all of this led to or helped contribute to his death. Lawyers for the man’s estate complained that the facility was negligent and responsible for these series of events. The lawsuit sought compensation for the economic and non-economic damages that resulted. Eventually, this case was transferred from Winnebago to Cook County, Illinois. The patient in this matter was seventy-three during the relevant events. He needed bypass surgery as well as an aortic valve replacement. These operations occurred at Provena St. Joseph’s Hospital. What happened next led to the legal dispute. Apparently, staff at that facility as well as the Kindred location he was transferred to later did not sufficiently care for him. As a result, he developed bed sores and sepsis. He passed away just a few days after he was sent to the nursing home facility. Attorneys for the estate sued both the home and the hospital. Their complaint set out that the two defendants’ combined negligence led to and contributed to his death. It sought relief for the tangible and intangible harms that these errors caused. Obviously, Kindred’s role in this matter was much smaller than the hospital’s. That fact was reflected in the eventual settlement numbers: the hospital paid $175,000 to the plaintiffs and the home paid $45,000 to the plaintiffs. Here, a woman was transferred to a Kindred Healthcare facility after undergoing heart surgery. Staff diagnosed her as suffering from anxiety and restlessness. They treated this condition by placing “soft” harnesses around her two wrists. Then, an employee was supposed to give her a sponge bath in order to bathe her. Lawyers for the woman claimed that that man (a certified nurse) raped her. The facility conducted its own investigation and determined that the claims were without merit. However, the police were contacted. Then, the certified nurse was actually arrested. This case awaits further developments. If successful, plaintiffs could obtain compensation for costs, pain, emotional trauma, and similar damages. In this matter, a resident experienced a whole host of problems at a Kindred facility in Will County, Illinois. Already before the trouble began, the man had several health issues include kidney disease, quadriplegia, bladder trouble, hypertension, and diabetes. These all required extensive and constant medical and nursing attention. According to allegations, that is not what he received. The suit argued that he was neglected to an unreasonable degree. Consequently, he developed cellulitis, bed sores, and sepsis. Then, he passed away not long after these events developed. The case sought damages because of the unreasonable care that man received and his wrongful death. The attorneys at Rosenfeld Injury Lawyers LLC have experience handling significant nursing home abuse and wrongful death cases in Illinois and in other jurisdictions. From the time our office is retained, we begin building a case that is most favorable to you. 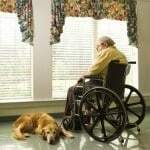 In addition to experienced nursing home injury attorneys who have resolved nursing home cases in all phases of litigation and trial, we also have unique access to experts from across the country whom we regularly call upon to provide insight to jurors and decision makers in a case. Call us now for your free case review.